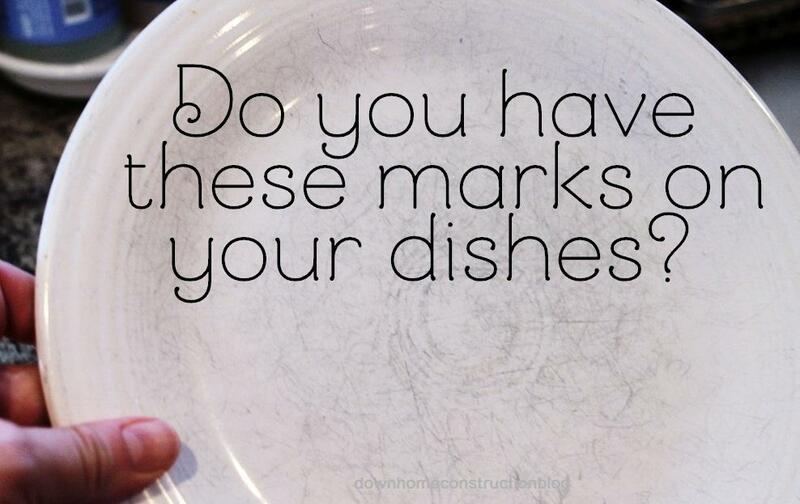 It’s normal – if you use silverware on ceramic dishes you will see little gray marks and scratches appear over time on your dishware. 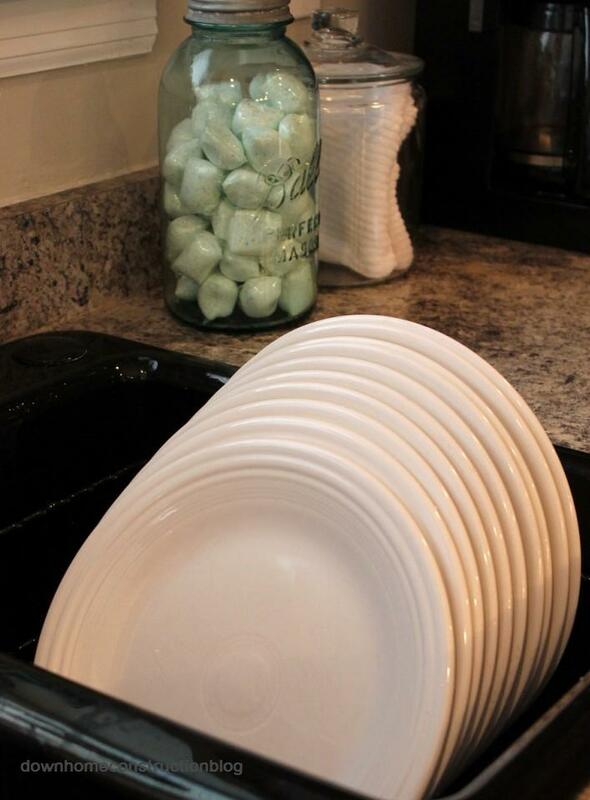 If you have small scratches, you can try water, dish soap and a little baking soda. If you meet a little resistance, I recommend Bon Ami or Bar Keeper’s Friend. 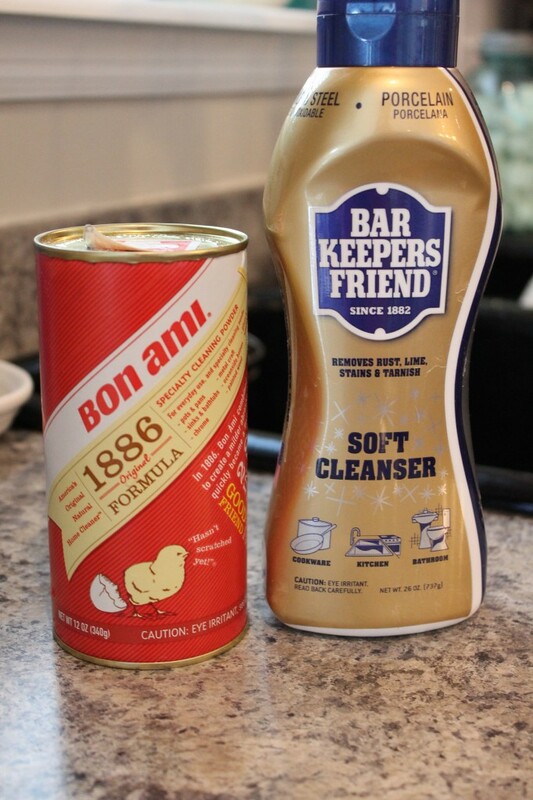 Both cleansers are safe/meant for cookware – so feel free to scrub away. .Wet the dish and a cloth and apply the powder or cream – rub in a circular motion. You’ll need to use a little elbow grease, but the marks will come up easily in a minute or so. 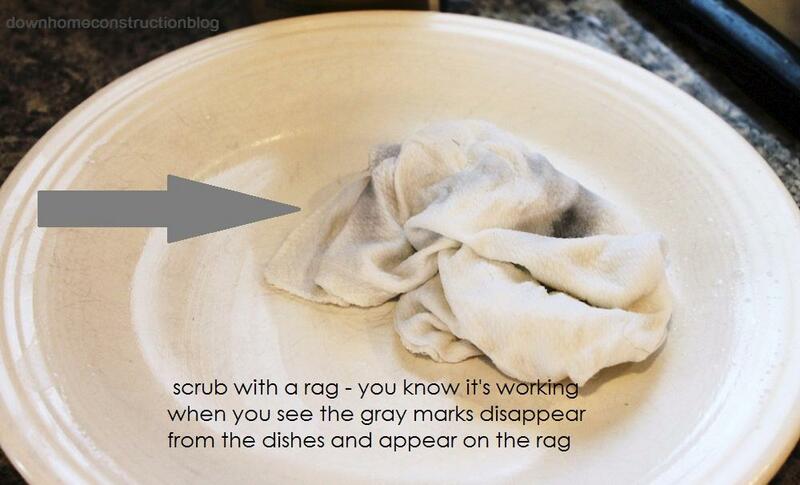 Have you tried to remove the gray marks on your dishes? What has/hasn’t worked for you?